X-ray crystallography provides the most accurate models of protein–ligand structures. These models serve as the foundation of many computational methods including structure prediction, molecular modelling, and structure-based drug design. The success of these computational methods ultimately depends on the quality of the underlying protein–ligand models. X-ray crystallography offers the unparalleled advantage of a clear mathematical formalism relating the experimental data to the protein–ligand model. In the case of X-ray crystallography, the primary experimental evidence is the electron density of the molecules forming the crystal. The first step in the generation of an accurate and precise crystallographic model is the interpretation of the electron density of the crystal, typically carried out by construction of an atomic model. The atomic model must then be validated for fit to the experimental electron density and also for agreement with prior expectations of stereochemistry. 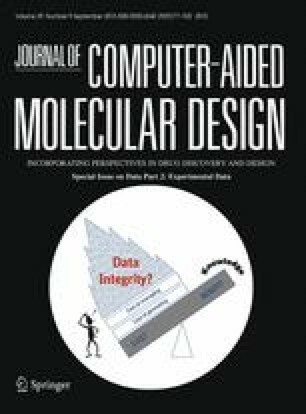 Stringent validation of protein–ligand models has become possible as a result of the mandatory deposition of primary diffraction data, and many computational tools are now available to aid in the validation process. Validation of protein–ligand complexes has revealed some instances of overenthusiastic interpretation of ligand density. Fundamental concepts and metrics of protein–ligand quality validation are discussed and we highlight software tools to assist in this process. It is essential that end users select high quality protein–ligand models for their computational and biological studies, and we provide an overview of how this can be achieved. MCD acknowledges support from the NIH, National Institute of General Medical Sciences, Protein Structure Initiative under Grant Number U54 GM094586. BR acknowledges support from the European Union under a FP7 Marie Curie People Action, Grant PIIF-GA-2011–300025 (SAXCESS).